I like making big knives, but of course make small ones too. It's actually more difficult for me to make a 4" blade than a 12" blade. Here are some littler ones that recently left the shop for new homes. All are 80CrV2 steel with marine epoxy-impregnated wraps. Two tantos. 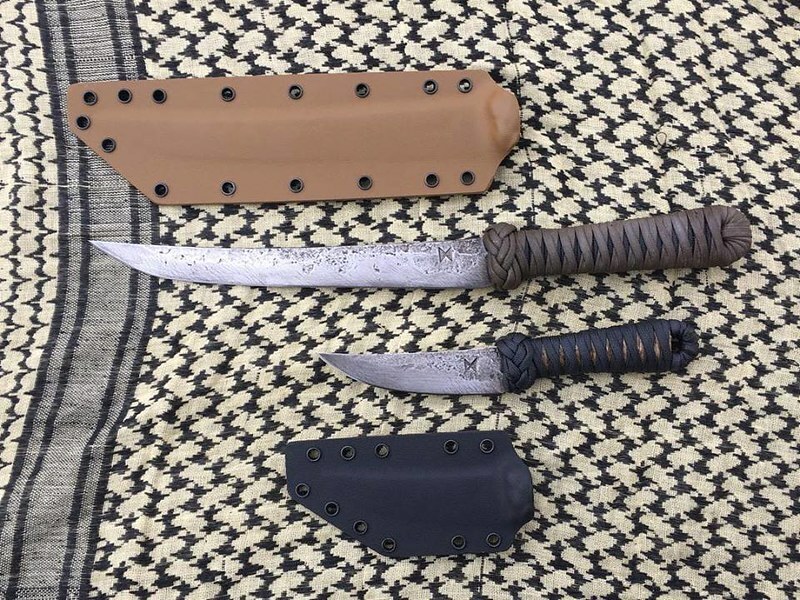 The long, slim one has an 8 7/8" long blade. 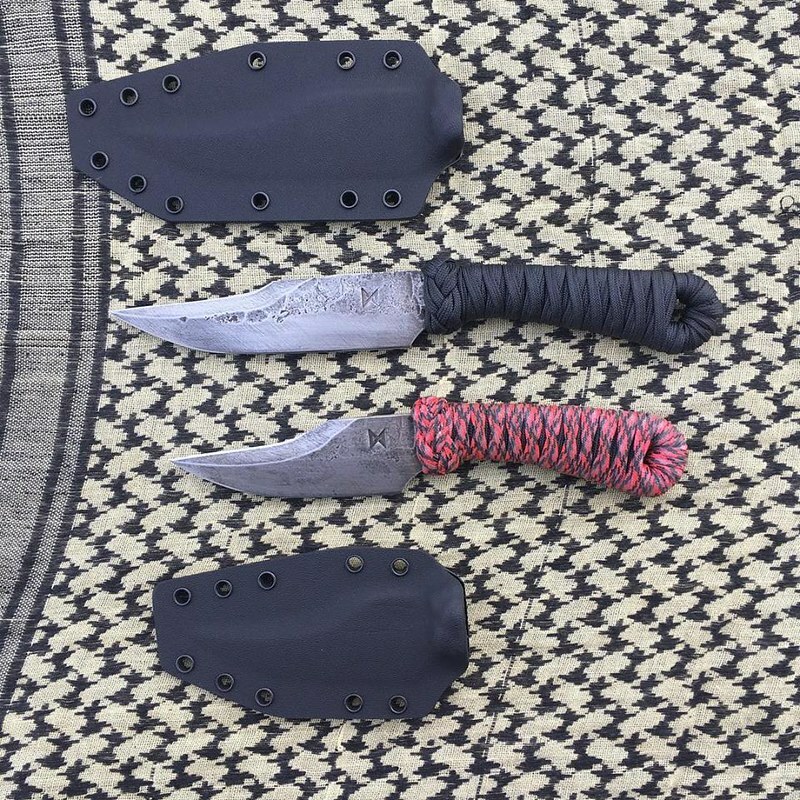 The little kwaiken is a 4" blade, 4" handle, with hemp cord for the underlay on the wrap and paracord on top. And two rooster spurs. The top one has a 5 1/2" blade, the bottom a 4" like the original. Both have fully sharpened top edges. This was a his-and-hers set, hence the pink camo cord on the bottom one.